This is about Netiquette and there are 10 important rules these are two that I like are the most important. I think rule 2: adhere to the same standards of behavior online that you follow in real life is important because there are certain rules in real life that you need to still to follow online. Like, to be careful in what you say to others. Also because people think they can do whatever they want on computer, but this rule is good so people will remember that the computer is like real life. Also rule 8: respect other people's privacy because if you put something on the computer and you didn't get that person's permission to put on it might hurt that person's feelings. So you always have to not put inappropriate things. Also if you think what you're going to post will hurt someone's feelings don't post it and ask for permission. 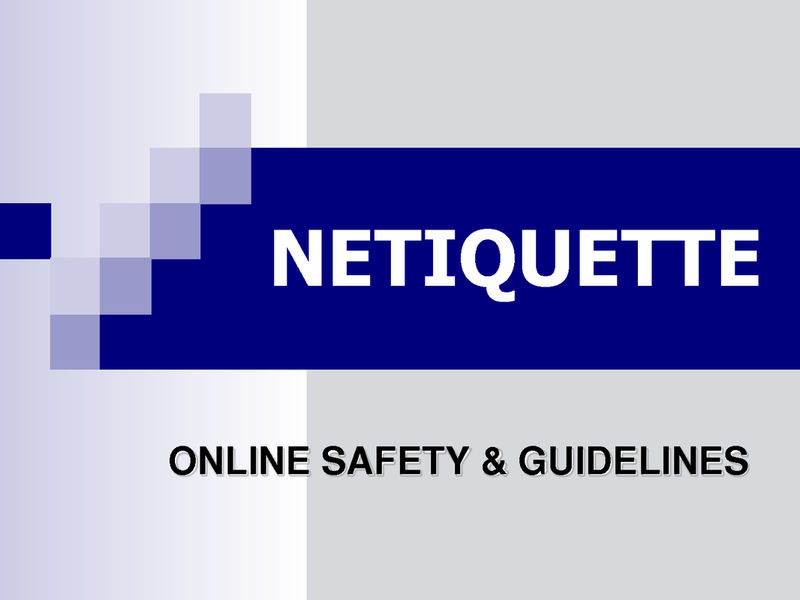 Click the link to see all the netiquette rules.